If your dog has allergies, you probably would like to know how to treat dog allergies holistically. Indeed, treating allergies, like any other canine illnesses, does not have to be "either or" (i.e. either conventional medicines or natural alternative remedies). 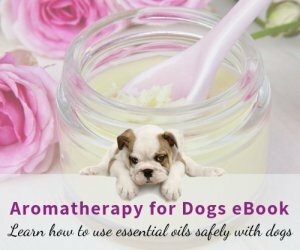 It is possible and effective to use a combination of dog allergy medication, natural supplements, and natural remedies such as herbs. Before looking at how to treat dog allergies holistically, let us look at the treatment options provided by conventional veterinary medicine. Another common conventional dog allergy medication is antihistamines, such as Benadryl. While antihistamines are not as notorious as corticosteroids when it comes to side effects, they are not as effective in relieving allergy symptoms. Only about 10 to 30 percent of dogs have been found to show improvement after using antihistamines for their allergies. Immunotherapy, aka allergy shots, is sometimes used when all else fails. Allergy shots are often used as a last resort because not only are they expensive, but it also takes a long time (one year) to ascertain the effectiveness of the shots on a dog patient. Besides the above common medication, conventional treatment also involves other symptomatic therapies such as cool baths with or without colloidal oatmeal, Epsom salts, or medicated shampoos. There are also sprays and ointments for quick temporary relief of itchiness. In addition, dogs with allergies are often given Omega-3 fatty acids which can reduce inflammation. 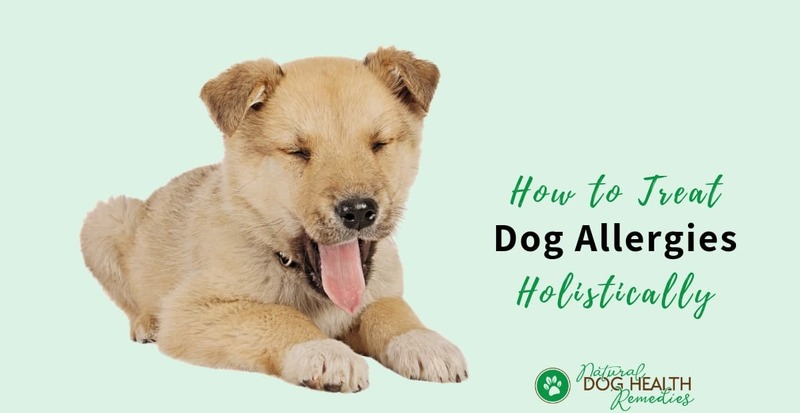 Now let's look at how to treat dog allergies holistically, using herbs, natural supplements, baths, and diets, in addition to conventional medications. Treating dog allergies holistically does not mean that we should use only alternative remedies such as herbs or supplements. We should remain open-minded and consider all options which are safe and effective. Safety: The most important criterion is the treatment must be safe to be used on dogs. It should not cause any major adverse effects, either long- or short-term, on the dog patients. Administration: The treatment should be easy for the dog parents to administer. Cost: The treatment should not cost the dog parents an arm and a leg! Root Problem: The treatment should be able to deal with the underlying health problem. Dog parents should not accept a treatment that is not based on tests and diagnosis since the treatment may only alleviate the symptoms but not eliminate the cause. Before deciding on how to treat dog allergies holistically, be sure to first get a proper diagnosis to find out the exact cause of your dog's allergy symptoms. 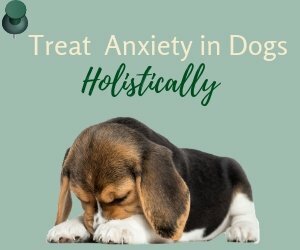 Then, preferably working with a veterinarian who is open to alternative therapies, design a holistic treatment program most suitable for your dog. For quick temporary relief of itchiness, topical treatment can be used. Safe topical treatment include the use of herbal shampoos and rinse. Herbs usually work slower than conventional medicines such as corticosteroids, so if your dog is suffering greatly from itchiness and is mutilating himself by incessant scratching and chewing, you may want to consider a topical steroid cream for faster relief. Once his itchiness has calmed down, you can reduce or stop the use of steroid cream. Dogs with allergies usually have immune systems that are weakened or imbalanced. Herbs and supplements can be used to reduce inflammation and to build up the allergic dog's immune system. Last but not the least, how to treat dog allergies holistically should also include a long-term allergy prevention program. Many holistic veterinarians argue that one thing every dog parent can do to help their dogs with allergies is to feed them a natural, organic diet, preferably raw with increased amounts of lean meats. The reason is simply that a natural raw diet is the closest type of food that dogs and cats used to eat when they were in the wild. Many commercial diets, especially the low-quality ones, contain harmful chemicals used for preservation and artificial coloring. In addition, avoid giving your dog a diet that is high in carbohydrates (e.g. corn, wheat, rice) because carbs cause and exacerbate inflammation. Many dog parents have actually seen their dogs' allergies improve upon switching their food to a natural, organic, low-carb diet. Discuss with your veterinarian about a homemade recipe or, if home cooking is not possible, an organic, preservative-free and artificial coloring-free commercial brand. Try to keep the diet as high quality as possible to avoid stress on organs and to help support the immune system. Air filters and purifiers can help remove allergens in the air, such as pollen, or house dust. Frequent vacuuming and washing your carpets reduces the allergens that live deep in the carpet fibers. Rinsing your dog's paws after walks may reduce exposure to pesticides. Consider putting booties or a T-shirt on your dog when going out if he is severely allergic. Changing and cleaning your dog's bedding frequently can reduce the allergenic load such as house dust mites. Using a natural and mild shampoo, and natural herbal flea repellents further minimizes exposing your dog to toxic chemicals. One simple thing that we can do to alleviate allergy symptoms in dogs is to bath them often. Some dog parents think that frequent bathing can cause more itching. That is not true if you use natural and mild doggie shampoo. Think about it, dogs do not have shoes and clothes to protect them against allergens in the environment, and allergens can easily stick to their haircoat. It makes good sense therefore to regularly bath your dog to help get rid of these allergens on her body before the allergens can cause an allergic reaction to the dog. Many veterinarians (mostly holistic and some conventional as well) now believe that we are over-vaccinating our dogs. In trying to protect our pets from diseases, it has now been found that vaccines can in fact have the potential to cause chronic to life-threatening health problems. Does that mean we should not vaccinate our dogs? Of course not! Some vaccines are required by law (e.g. rabies) and others are definitely necessary, especially if you live in high-risk regions. However, take control. 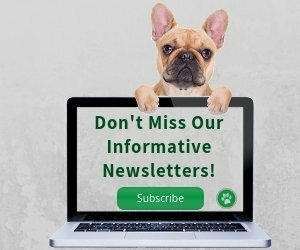 Be an informed dog owner. Read up on the subject, understand the necessity, and the pros and cons of various vaccines, and discuss the issues with your veterinarian. Dog allergy symptoms often appear as a result of a prolonged build-up of toxins in the body whose immune system is weakened. Managing allergies, therefore, is more than just suppressing the symptoms of itchy skin or ear infections. It requires vigilant observation of your dog - you must recognize the warning signs, such as excessive licking, paw chewing, or ear scratching, and timely action needs to be taken to find out the underlying root cause. Tackling allergies in dogs is a long-term and ongoing process and a healthy body is the best guard against toxic substances invading your dog's body. Find a veterinarian who is open to using natural, alternative remedies for treatment of allergies in dogs. Keep in mind that alternative remedies do not have to replace conventional treatments. Instead, many such alternative remedies can often complement conventional treatments and may eliminate or reduce the use of strong drugs.